Flooding of Syrian neolithic site. 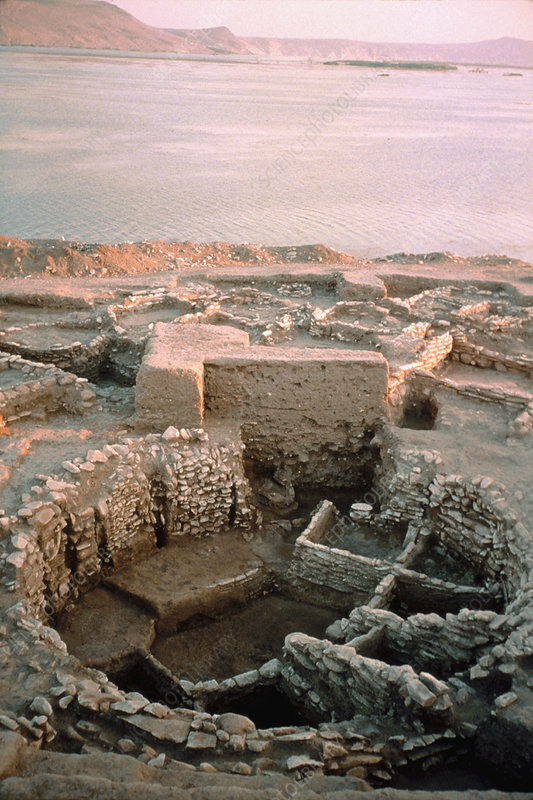 Archaeological site of Jerf el-Ahmar on the Middle Euphrates in Syria, threatened by the rising waters produced by the Tishrin Dam. These waters later flooded this site, but some of the excavated buildings were dismantled and reassembled at a museum. It is thought these round stone-walled buildings had a communal function. The site was occupied between 9200 and 8700 BC, overlapping between the Pre-Pottery Neolithic A and Pre-Pottery Neolithic B periods. Photographed in 1999.